Did You Vote? 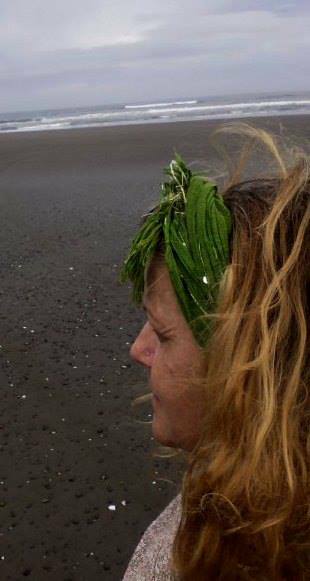 Runaway Writer Found on Beach, Heart Broken, but Alive! Read and vote, please http://soniamarsh.com/2013/07/how-personal-tragedy-brought-writing-back-into-my-life.html#comment-40972 Voting is quick and simple. As of 12:43 Pacific time the voting is 47-51. My main competitor has made this a fun race…we’ve been dueling with feathers on facebook. Thanks, peeps! Categories: Challenges Prompts Contests, Essays, Memoir | Tags: contest, gutsy, memoir, writer | Permalink. Patti need your Votes!!! You don’t have to comment, just vote in the poll. She is pulling a close second place with her story and needs votes!!! Thank you times ten! And for the reblog:>) Susan, you are so good to me. Hugs. I hope more people can reblog this for you. Vote for Patti please – it only takes a minute to vote – but once you read her story, you will be changed for a lifetime. Wow, thank you! This is all so new. We have you up to 51 and Sharon is at 59. katie and some others were wondering how long the contest is on for so maybe we could do posts about it tomorrow. Several folks have reblogged my reblog. Cool! I think it is just til tonight, midnight, Pac time. Thank you, I saw some reblogs…never happened to me before. Should have let us know sooner!!! Next time! We will do posts and have time to get others interested. Yep, I blew that one! The next one is the 19th and pays $50. I did post it on my blog earlier, but then put most efforts into FB. There is so much that I am still learning. I can’t even figure out how to get a reader audience genre for a book that is both fiction and non-fiction. I have been all over the Amazon categories looking for the right place to land. I am having the best luck with Historical fiction…so I might just leave it there. Thanks but they don’t have that category. There used to be more categories on Amazon, but they slimmed them down. You can only choose two from very limited choices. It really isn’t a Romance, even though thee is a brief but pertinent romance in it, and I would not want to disappoint romance readers. That is a sure fire way to get bad reviews. Non-Fiction novels (faction) were very popular in the 1970s, and they are trying to make a comeback, but until more writers fill that category, Amazon won’t replace it. it is tough to be on the cutting edge. Friend her at https://www.facebook.com/patti.hall.3950 Share this link withn your facebook friends! Not yet, but working on it. Did you ever post your review of Red Clay and Roses on amazon? I know you did on Goodreads. If you have time, copy and paste to amazon. i am trying to get ten reviews so I can enter into certain contests as soon as I get the revisions done. I asked Pam also. I am sitting at nine right now. Shite I forgot! If I can’t make my brain work tonight (so far unsuccessful) I will do tomorrow. Sorry.